You are right on target, Thanos. 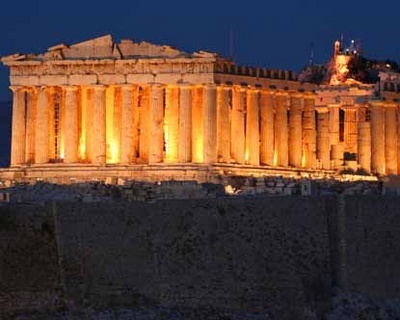 The Parthenonon, more than an archeological site or museum is a symbol and icon of our mother civilization. When we lose sight of that fact, then the temptation is to simply regard the remnants of that civilization as possessions to be proudly displayed; which is to say to be a cultural philistine. It would be like the Metropolitan Museum of Art acquiring the whole of Pompei and placing it on an American prairies somewhere so that visitors can come and see it like they see the whole of Europe at Ep Cot in Orlando; or perhaps acquire the whole of Venice which may become a mere museum in on hundred years or so, and placing it in Las Vegas together with the casino hotels already featuring a replica of Venice. 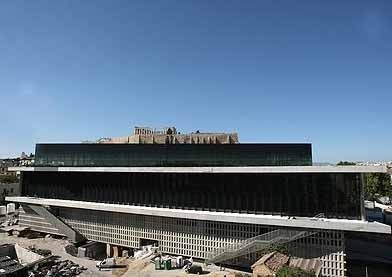 Obviously what is missing in that kind of cultural philistinism is the imagination that brings to life a city like Pompei or a Parthenon or a Forum Romanum. Pity. P.S. A short follow-up to the above: when I take students for summer studies in Urbino, Italy, invariably there is a student who asks: do Italians speak English? Invariably I answer that most educated Italians do, but the proper question ought to be: should I make an effort to learn and speak Italian while I am a guest in Italy? Should I at the very minimum learn a few expressions of courtesy? I point out that the whole purpose of the five week program is not to visit museums (as praiseworthy as that is in itself) or perhaps the whole of Italy conceived as a museum but to familiarize oneself with a live culture; and that culture lives in its people and expresses itself in its language. So one of the assignments I give before the trip is to read “The Courtesan” by Baldassare Castiglione, in English and then encourage them to read it in the original Italian, so that when they enter the palace of Urbino, dubbed by Kenneth Clark the prototype of the Renaissance palaces and the most beautiful in the world, or the native house of Raphael they will carry with them imaginative scenes from the book and the palace and the house will not look to them as a mere museum with Raphael’s paintings inside. For the curious reader about Urbino as a symbol of the Renaissance open to the above link from today's travel section in the New York Times. Can you answer to my question ? 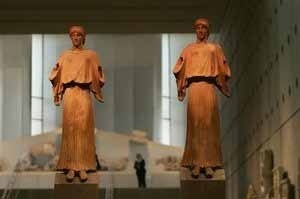 When , Who and How did they stole the sculptures of the Parthenon and generally from the Acropolis ?